Smoove is the archetypal B Boy made good. Despite his huge international success with Smoove & Turrell and his ability to craft jazz, soul, latin, hip hop and funk into world beating dancefloor killers – he can still be found every weekend he’s not playing live jumping on a plane or a train to go and DJ in Germany, Russia, Italy, Ibiza or just down to Manchester, Bristol or London wherever his diary tells him he has to go.. Wherever it is, his incredible skills behind the decks mean that he gets asked back and the breadth of the music seamlessly joined by his turntablist skills jumps from disco to funk, jazz to soul, hip hop to house and back again. The endless flights, trains and hotel rooms are dead time to some DJ’s but Smoove is always creating new tunes for his set on the fly and working his different influences into the remixes and productions he is currently on. There were at least 40 remixes that could have been included on this album but in the end he chose the ones that worked best together and made the album flow like one of his legendary DJ sets. The album contains a number of exclusives including the remix of the new Third Degree track and a killer remix of Afrika Bambataa, Charlie Funk and King Kamonzi. The remix of Da Wiesel has only ever been available on vinyl before and the amazing remix of Electric Empire remains unreleased (unbelievably) in many European territories. 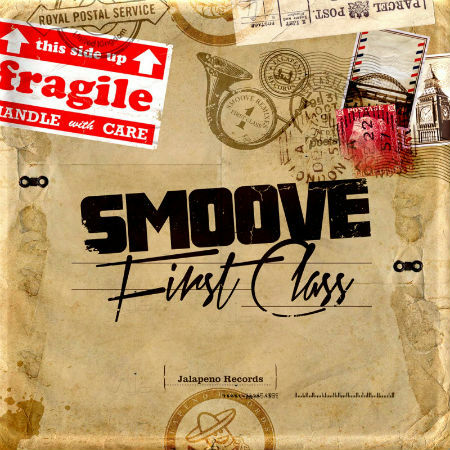 Smoove started his recording career for the legendary Acid Jazz label releasing two albums as a solo artist before signing to Jalapeno Records with partner John Turrell to release two hugely successful Smoove & Turrell albums. Their last album was playlisted extensively at Radio 2 and tracks from the album have been used in more than ten film and TV syncs – making Smoove & Turrell the new darlings of the LA film community. Smoove is touring with the Smoove & Turrell live band, recording the next S&T album, DJ’ing every weekend and he also just became a dad. Where does he find the time?